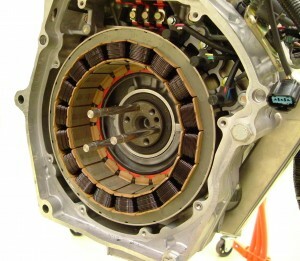 The Permanent Magnet Motor is much more common. The magnetic field is similar in both. Come learn about the types, the diagnostic and who uses what. In 3 days you will know more than most and whether you are a tech or an engineer, this topic is good to know. Prerequisites: This is an advanced Class. Some theory is taught but of you are weak take the HEV101 Class first (on-line) so you can stay up with us or buy our book set. How do I get there: You will need get yourself to Worcester. We will assist you with the logistics (bus, train, rental car. Fly into Boston (Logan Airport) or Providence, RI (TF Green Airport). If you fly into Providence we will pick you up and get you to Worcester (one hour away – 55 mikes) if you call us before you make your flight arrangements. Who Should Attend: Those that work on any Hybrid or EV. Cost: $2,900 for class, meals, hotel, hybrid / EV car to use and class materials on a jump drive.